In a world first, researchers focusing on infant speech and cognitive development in the Asia-Pacific region will be showcasing their collaborative research this week for the inaugural international Asia-Pacific BabyLab Constellation (ABC) Conference in Singapore. Professor Denis Burnham, founder of the MARCS Institute for Brain, Behaviour, and Development BabyLab at Western Sydney University and President of the Asia-Pacific BabyLab Constellation, has been at the forefront of infancy research and issues related to early communicative development including first and second language acquisition, bilingualism, and language representation in the mind and brain. Forming the Asia-Pacific BabyLab Constellation (ABC) with MARCS Institute Adjunct Fellow Dr Marina Kalashnikova in 2015, Professor Burnham has facilitated international collaboration of BabyLab research laboratories from across seven countries including Australia’s own MARCS Institute BabyLab at Western Sydney University. “The ABC is a community of researchers working in the areas of communicative, social, and cognitive development of infants and young children in the Asia-Pacific region,” says Professor Burnham. “There is a long history of research on speech perception and language development in European and non-tone languages, whereas Asian languages – many of which are tone languages – are currently under-represented in scientific literature on infant development. At the ABC Conference, Professor Burnham and Dr Marina Kalashnikova will launch a cross-lab research project on the development of linguistic tone in young infants, to be conducted from five ABC Member BabyLabs across the Asia Pacific region including Australia, Thailand, Hong Kong, Singapore and Malaysia. Professor Burnham says over 70 percent of the world’s languages are tone languages, which use pitch and intonation to convey meaning at the single word level. Tone language adult listeners perceive lexical pitch in a linguistic fashion and outperform non-tone language peers in musical pitch perception, and Professor Burnham’s research has shown that infants are able to discriminate pitch at birth. “How non-tone language learning infants develop their pitch perception patterns to language and music is particularly interesting in order to understand the diverse perceptual patterns displayed in adulthood,” says Professor Burnham. Professor Denis Burnham and Dr Marina Kalashnikova are part of the international collaborative research team for the ‘Silent but all Ears: The critical role of study of speech perception and input in 6-12 month bilingual infants’ project led by principal investigator and ABC Conference co-organiser, Professor Ng Bee Chin of Nanyang Technological University, Singapore. 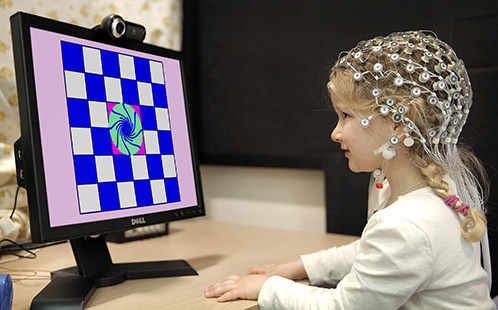 The research project was awarded a Tier 1 Singaporean grant to Nanyang Technological University, and will be the first of its kind to investigate the role of the interaction between parents’ speech input and infants’ speech perception in bilingual development and provide scientific evidence for milestones and the optimal environment for bilingual development. Optimal bilingual development depends upon rich speech input from parents to infants, and the optimal speech perception by infants is in the critical period of birth to 12 months of age. Professor Denis Burnham will give his keynote presentation, ‘The ABC of Lexical Tone’, at the inaugural Asia-Pacific BabyLab Constellation Conference on October 4, Nanyang Technological University, Singapore.